Whether it’s your garden gate, driveway gate or side gate, keeping it in a pristine condition is not always easy. 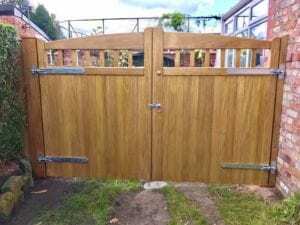 Wooden gates are especially vulnerable to the elements, with radical changes in temperature speeding up the wearing away process. We may produce some of the best gates around, but even we believe you should take preventative measures to boost your gate’s durability, ensure maximum protection and preserve your gate’s appearance. Choosing the right treatment is a good place to start, and we look at the best in this post. With benefits including resistance to bacteria, mould and UV rays, it’s no wonder we’re impressed with Teknos’ ‘Forest Inspirations’ wooden gate treatment collection. Available in colours as complimentary as Mahogany and Teak, as well as Light, Medium and Dark Oak, these base coats help to minimise discolouration and maximise durability, emphasizing and protecting the gate’s natural state in the process. Unlike traditional solvent based stains and even some paints, these base coats don’t crack or peel, maintaining their aesthetic appeal for as long as possible. We also like how they show the natural grain of the timber through the colours. When covered with their advanced Aquatop 2600-21 formulation, then the results are even better. 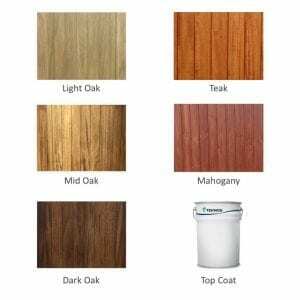 Aquatop is a water-based, exterior topcoat suitable for both softwoods and hardwoods, as well as engineered and modified timbers. It’s a flexible and microporous liquid, meaning that it protects your gate against rain, snow and other water-based weather. When applied, it dries quickly, ensuring it doesn’t colourise the underlying coat. What Are Other Benefits Of Teknos? Can be applied using conventional spraying systems, such as Airless, Disc and High Rotation Bells. Works especially well with Scandinavian redwood, Idigbo hardwood and Iroko hardwood, helping to smooth out any unevenness in the wood’s surface. Prevents knots bleeding through the coatings, maintaining the wood’s aesthetic appeal. Safe to use and compliant with environmental regulations. 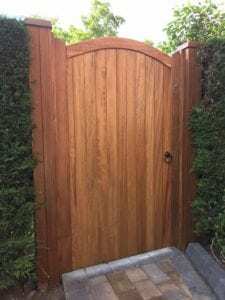 If you’d like to learn more about Teknos and why we believe they offer the best treatment for wooden gates, feel free to contact us using our contact form, here. Alternatively, call us on 01925 967 071 and we’d only be too happy to help.